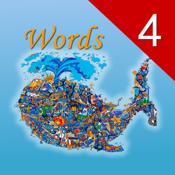 This APP give lessons to teach pupils the enabling phonics skills explicitly, e.g. drawing their attention to the letter-sound relationships, guiding them to divide words into small parts and to understand the meaning of words. Dictation is primarily used to reinforce grammar and spelling skills. This is an effective method if done correctly and consistently. Usually teachers use dictation as a learning activity for pupils to apply their phonics skills, practise the integrative use of listening and writing skills and demonstrate their grammar knowledge.